I love satellite communications. I get a certain thrill when I hear the satellite come up above the horizon and the static from the receiver all of a sudden swell with voices, beeps, and other noises. Likewise I feel a little sad when the pass is almost complete and the cacophony of sound is once again replaced with static. Many years ago, as a new ham, one of my first QSO cards was a reception report from Sunsat SO-35. This short-lived micro sat was an easy to receive FM satellite. All it took was a dual band HT and a rubber duck antenna. Fast forward several years to the current International Space Station and its amateur radio station located in the Russian Service Module portion of the station. Sometime astronauts and cosmonauts will get on the are and use it to speak to hams as the space station screams across the sky, but more frequently its tuned in as an APRS digipeater. But occasionally the radio will be set to transmit Slow Scan TV images. 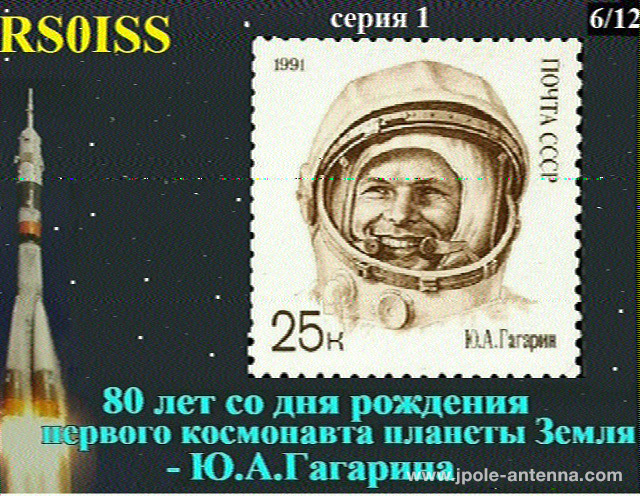 Receiving SSTV from the International Space Station is easy and fun. The best way to explain the SSTV process is to join me in the shack by watching this short video. Be sure to follow my Facebook and Google+ pages. I’ll put out an announcement when I hear of the next time the ISS goes into “Slow Scan Mode.” Did you receive any SSTV images from the ISS, share your experience in the comments below. It looks like you have a fine selection of antennas. However, I really only want “one” scanner antenna. Do you have such a product that covers numerous frequencies? Is there one in development? If not what would you suggest that gives me antenna gain, where possible; and covers many frequencies? I appreciate any advice you have to offer. I hope this answers your question, please let me know if you have any others.